It’s getting colder, so you are probably getting ready to turn the heat on – which means you’ll want a humidifier on to keep little noses and throats clear. Read our tips on using humidifiers with children to help with colds, coughs, dry skin and runny noses. Humidifiers put moisture back into dry winter air. 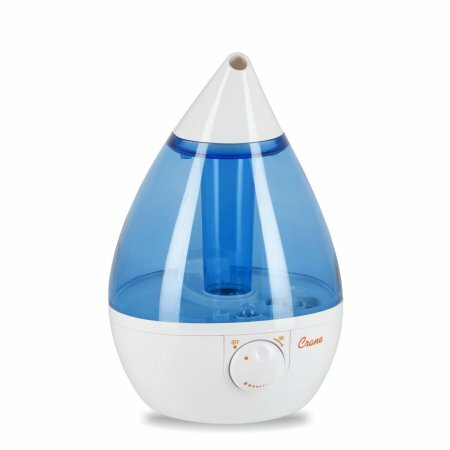 Cool mist humidifiers are recommended to help with winter coughs and colds, plus they help make breathing easier on little lungs at night. Consider putting one in the child’s bedroom, carefully choosing a safe place that won’t encourage little hands to pull on the cord or knock it over. You might want to put one in the living room or playrooms, too, during cold snaps or if your child sounds particularly congested. Clean your humidifier once a week with white vinegar and a soft-bristle brush. Make sure you are only putting distilled water into your humidifier. Cheat a little at cleaning by adding an antimicrobial humidifier ball or stick to the water. That way, you can be sure you aren’t circulating germs into the air. Have a great winter, and we hope you appreciated our tips on using humidifiers with children! For more child safety tips, take one of our Child CPR and Safety classes!